Today is probably my favorite shopping day all year. Because I can do every bit of shopping from my couch with no makeup on...and no pants! The second reason why I love Cyber Monday is because the sales are straight up ridiculous. There's something in this sale for everyone; your mom, sister, best friend, and even the fratty guy in your life! 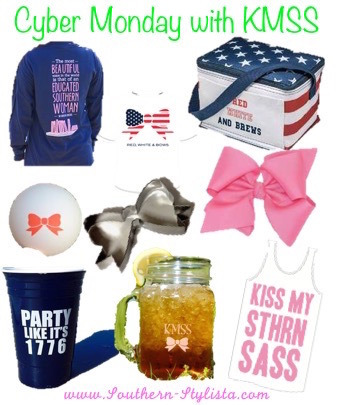 Here are the KMSS deals and then I'll jump into the rest of the Cyber Monday sales below. 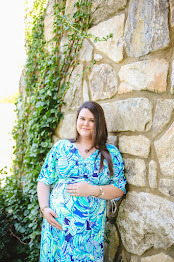 . .
Keep in mind, you can use the code KMSSJSU for an extra $2 off any purchase today! The Red, White, and Brews soft cooler (hold a twelve pack!) only 12 dollars today! Onto the other Cyber Monday sales. . .
30% off sitewide with the code "HOLIDAY"
25% off sitewide with the code "Best25Ever"
This is the cutest little boutique for plus sized girls! 20% off sitewide on regularly priced items and free shipping with code "Cyber20"
an email exclusive that I got for y'all so take advantage! Get 40% off everything with the same code used for Old Navy above! 20% off your entire order, free monogramming, free gift wrapping, plus free shipping with the code "FRIENDS"
30% off today with code "CYBER30"
50% off everything, plus an extra 15% off and free shipping with the code "TodayOnly"
15% off sitewide with the code "CYBER15"
50% off sitewide with the code "YAYTODAY"
20% off your entire purchase, plus free shipping on orders over $25 with code "CYBER20"
I hope you found a few sales to check out today that you wouldn't have known about otherwise. Cyber Monday is such a great way to finish off (or start!) your Christmas shopping. Wish I had a little more $$ to shop the sales today haha. Too cute! I'm loving that mason jar -- also need to check out the Kate Spade sale! Love these sales and the southern vibes! Wow! Julep is having a sale! Thank you for the share! I love the bows that you've listed! So many great options from KMSS! Fun finds! Interestingly enough, They've adopted black Friday and Cyber Monday in Australia despite not celebrating Thanksgiving! So many great sales! This is an awesome roundup! How awesome! I've heard of them before, I'll have to re-look at their site. Loving that mason jar. These sales have been amazing! I've bought so many great gifts! Thank you so much for all the links! The sales are amazing today. You're killing my wallet with these good deals! I'm trying so hard not to spend money today. Great post! What a great sale round-up! Love that mason jar tumbler! Love that you didn't do all the normal stores most bloggers did! I DEFINITELY cashed in with the KMSS sale! I shopped during happy hour and ended up with free shipping! Score! So many awesome sales going on! I love KMSS! There were SO many amazing sales this year, I couldn't help but go a little crazy! Thanks for sharing these awesome deals! So many cute things. Ohhhh yes! I shopped there yesterday! The Kiss My Southern Sass tank is so cute! How fun is that cooler?! Such great sales going on! There were some really great sales this past weekend! I wish I wasn't so poor right now so I could have participated. I love their long sleeve shirts!